Friday evening, September 25, 2015, the Friends of the Beach Museum of Art will host their annual gala at the Bluemont Hotel and in the beautiful Beach Museum of Art. The evening’s theme is “Art for every home — Recalling earlier eras,” and the event will feature the very special exhibition of Art for Every Home: Associated American Artists. The evening begins at 6 p.m. at the Bluemont Hotel with heavy appetizers and entertainment, then continues at the museum with dessert and lively entertainment by campus performers, including the K-State Faculty JAZZtet. Proceeds from the event are used to purchase Kansas and regional art for the museum’s collection. Tickerst are $125 per person; register on line at www.found.ksu.edu/rsvp/beach or call 785-532-7718 to see if there are still seats available. Night of Wonder is a wrap! The Friends of the Beach Museum of Art fundraiser, inspired by the “Museum of Wonder” exhibition, drew nearly 200 guests to the Beach Museum of Art on September 20, 2013. 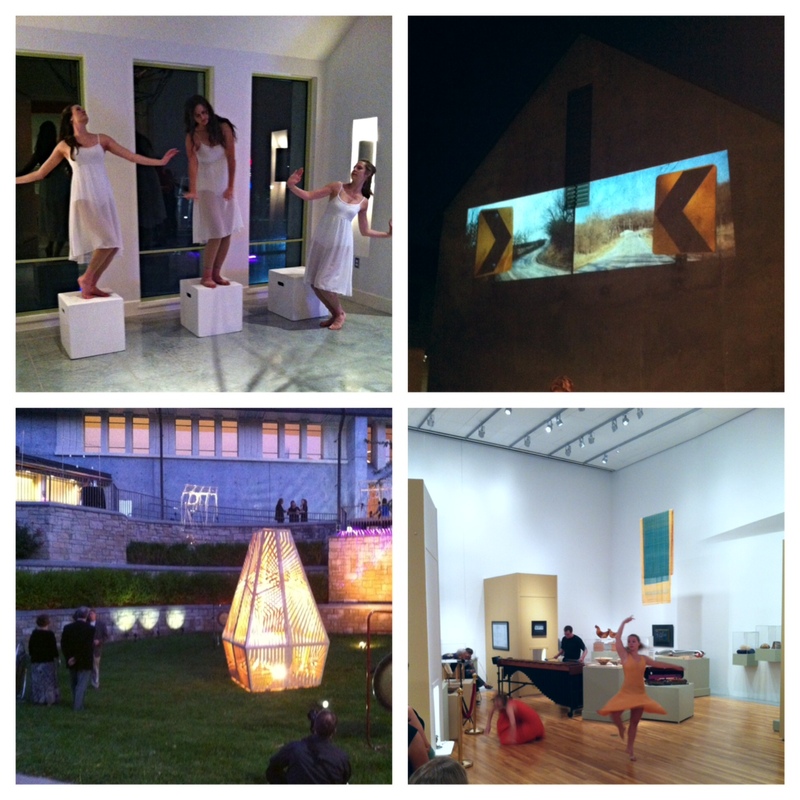 Art was brought to life as performances, digital media, and sculpture filled the museum’s galleries and grounds. It was especially gratifying to see Kansas State University students and graduates of dance, music, art, and architecture featured so prominently. Their hard work (and that of their instructors) culminated in a fantastic interactive display of creativity. K-State students & graduates share their talents during Night of Wonder. Photos by Adrianne Russell. Large-scale events like Night of Wonder couldn’t happen without support. Thanks to the Friends of the Beach Museum of Art, sponsors, vendors, performers, staff, and guests for making it such a magical evening.